This volumizing conditioner has been specially formulated to bring life to fine hair, giving it more volume. Among its nourishing herbal extracts and essential oils is nettle, a chlorophyll-rich plant that supplies silica and sulphur to help hair grow. And Burdock can assist with scalp conditions such as dandruff and hair loss. 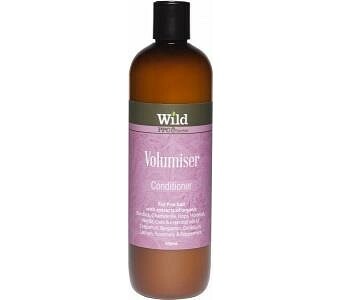 Wild Volumiser conditioner is vegan, cruelty-free and contains no harmful chemicals such as sodium lauryl/laureth sulphate, perfumes and detergents. 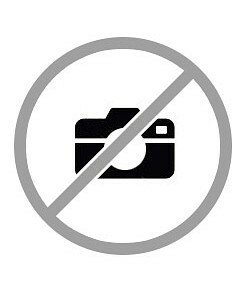 Ingredients: Water, Glycerin, Behentrimonium Methosulfate, Cetearyl Alcohol, Hydrolyzed Wheat Protein, Chamomilla Recutita (Matricaria) Flower Extract, Arctium Lappa Root Extract, Equisetum Arvense Extract, Urtica Dioica (Nettle) Leaf Extract, Avena Sativa (Oat) Kernel Extract, Humulus Lupulus (Hops) Flower Extract, Citrus Grandis (Grapefruit) Peel Oil, Citrus Aurantium Bergamia (Bergamot) Fruit Oil, Pelargonium Graveolens Flower Oil, Citrus Limon (Lemon) Peel Oil, Rosmarinus Officinalis (Rosemary) Leaf Oil, Mentha Piperita (Peppermint) Oil, Guar Hydroxypropyltrimonium Chloride, Magnesium Sulfate, Lactic Acid, Benzoic Acid, Dehydroacetic Acid, Phenoxyethanol.